Along with designing or remodeling a kitchen comes a unique set of challenges. You’ll likely consider the layout, flooring, countertops, cabinetry, colors, plumbing and lighting, just to name a few. Will you keep the layout, or demolish for more efficient use of space? You likely already have flooring, countertops & cabinets - should you keep them? Your average full kitchen area generally ranges from 100 - 200 square feet. If yours is smaller, you likely have what is called a galley or one-wall-style kitchen, typically found in smaller condos and apartments, or possibly an efficiency or compact kitchen if you live in a studio or efficiency unit. One of the key tenets of any kitchen design is known as the kitchen triangle. This is the path between your refrigerator, sink and stove/oven areas. Ideally, this triangle will be tight, with few obstacles for the most efficient and comfortable cooking and food prep experience. Smaller spaces, when laid out correctly, make forming this triangle even easier. L-shape kitchen: This one is self-explanatory - the counters form an “L” shape for an easy triangle. Double L kitchen: Essentially the L-shape with an additional island countertop, also in an “L” shape. U-shape kitchen: The counters and cabinets form a horseshoe shape, offering plenty of storage and space to work. The floor you choose for your kitchen design or remodel requires special consideration. These floors will not only have to deal with constant foot traffic, but also spills, dropped kitchenware, moisture and heat. Ideally, your kitchen floors will also be comfortable for long periods of standing while you cook and clean. A traditional, practical choice is stone or ceramic tile, which offers a beautiful natural look. Tile won’t get waterlogged, is easy to clean, and can even be inexpensive if you shop right and find a good deal. Probably the most important decision you’ll make in your kitchen is your countertop. 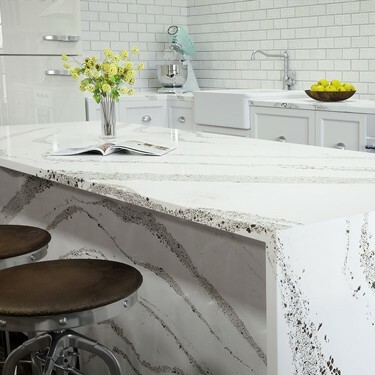 You use your counters so often, you’ll want to make sure they’re the perfect ones.The most affordable option is laminate, available in crisp, realistic patterns. 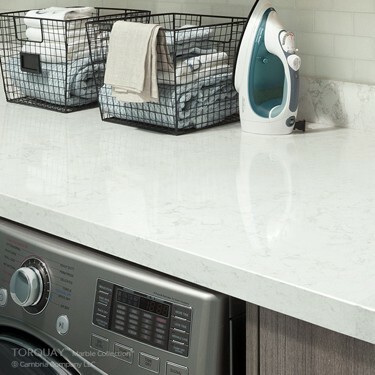 For an option with more resale value, granite is the way to go. 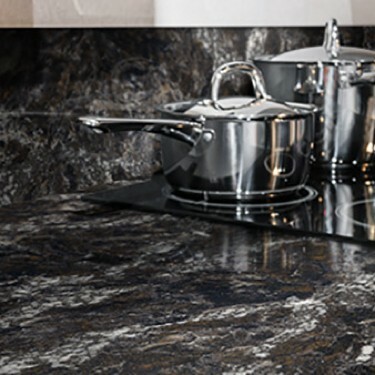 You can find granite in pre-made, modular forms from a variety of name brands, or opt for a custom-fabricated countertop, designed and cut from a unique piece of stone to your kitchen’s exact specifications. Perhaps the most daunting decision when remodeling a kitchen is the cabinetry. It can be tough to find cabinets that are inexpensive and still high quality. One alternative to purchasing entirely new cabinetry is refacing your existing cabinets. This involves keeping the “box,” replacing the door and retouching the whole exterior with a new coat of veneer. You can also paint your cabinets - a difficult, but stylish undertaking. Note: If you go this route, make sure you choose a paint that will stick to the surface of your cabinets! You may need to sand them down first. That’s it for the core principles of kitchen design!